Ammo Sales Minimum Age Restrictions is 21 by Federal Law. State Drivers License is required as proof of age for all purchases. 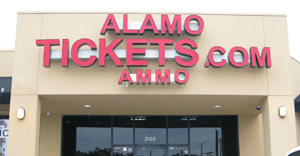 Alamo Ammo is local to San Antonio and will ship 38 Special ammunition within the US. Local Ammo Sales can be picked up at the office to save on shipping. * The picture is representative of the item listed. It may not match the exact item that you are looking at. Please make sure to read the description of the individual item.